Kicking and Stretching Equal Simultaneous 50/50–The Harder you Kick you Can Balance Forever…. With every inhale I reach forward more, opening up my shoulders more. With my exhales I kick harder!…This is one of the catchy lines of the Bikram Dialogue and a part I never leave out, because I love that Standing Bow Pulling Pose and that quotation actually describes how you should be feeling perfectly. …This is one of the catchy lines of the Bikram Dialogue and a part I never leave out, because I love that Standing Bow Pulling Pose and that quotation actually describes how you should be feeling perfectly. I love Standing Bow, because this was the first posture in which I felt how my strength would be able to make me more flexible. 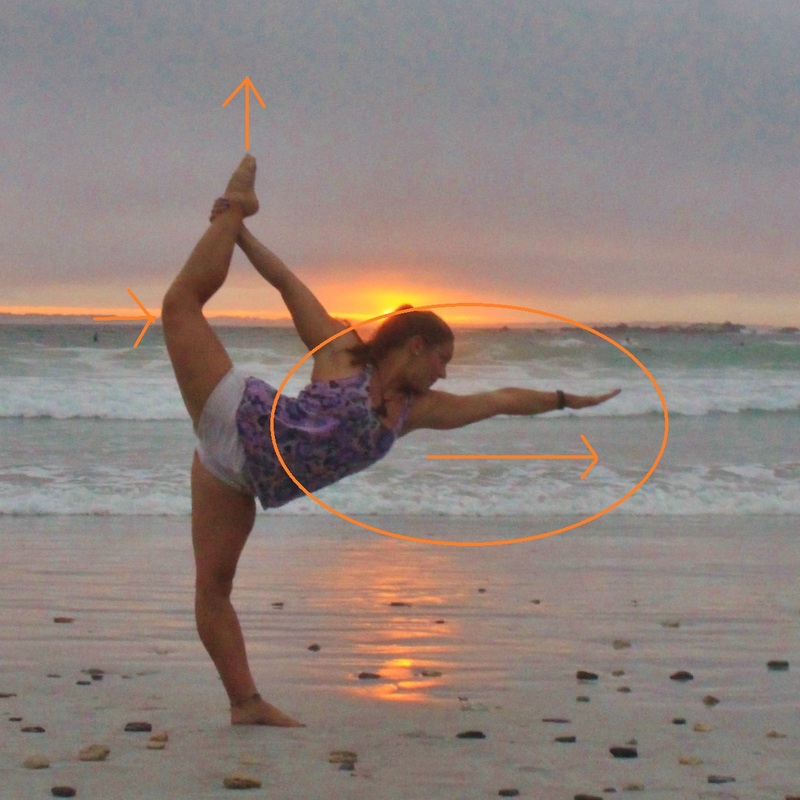 “Equal Simultaneous 50/50.” is not just for balancing stick pose. You should be able to find equal simultaneous 50/50 balance in any of your postures. That balance is a very difficult thing. To have that balance you must have Normal Breathing. The first step of every posture is breath. This is imperative because once you have normal breathing you can use your breath to help open your body. With every inhale one muscle group is growing stronger. With every exhale one joint or muscle group relaxes. Yoga is really that simple. The postures (yes even ones where you stick your leg behind your head) are designed to use strong muscles to stretch tight muscles. Yoga is about training awareness in ones body. Feel WHERE your body is resisting the pose. Then think WHY is this resistance happening. If you can’t answer that question ask your yoga instructor. They will be able to give you cues to use your breath to open up those tight areas. With my inhales I push my left knee down with me hand while pulling my heel back into my body. With the exhales I relax the left knee down. This is a very different posture than standing bow. There is no balance involved here, but it involves a huge amount of flexibility and if you don’t have that flexibility the same balance between strength and relaxation and your breath will help build this flexibility. If you ever have any questions about and of your postures, tag me @Courtn3yjulia and #fixmyasana on instagram or twitter of just post your photo to Facebook.